Home Technology - Hacking Can AI Keep Construction Industry Workers Safe? The construction industry can do a lot with AI. 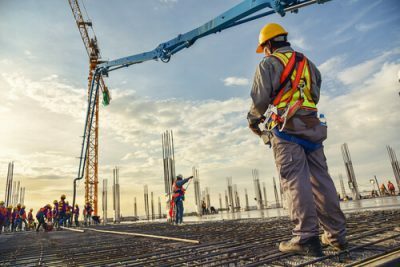 It is widely believed that the US construction industry (and perhaps every other country’s construction industry as well) is a technology laggard. And the construction industry hasn’t done anything in the past to suggest anything contrary to this long-held belief. But that might change very soon. The construction industry is actually hiring people from the data science field in order to keep workplaces accident-free and also boost efficiency. Statistics say that construction workers have a higher chance of being killed while on the job. More specifically, they are about five times as likely as a laborer to die from a work-related accident. But there is a new constructor worker that can change that. That construction worker is a data scientist. Data scientists will now use techniques from the field of artificial intelligence to make predictions about the likelihood of a given injury to a worker. Not only that, artificial intelligence will also move in to intervene after it has predicted some danger to the worker. Suffolk, a general contractor based in Boston has started to develop an algorithm for such tasks. The company has an annual sales figure that reaches close to $3 billion. And it is likely that it will try to use some of that financial muscle in order to come up with better ways of protecting users with the help of artificial intelligence algorithms. The algorithm that the company is currently working on will have the ability to analyze different photos from the company’s various job sites. After that, it will scan the photos for usual safety hazards. Such safety hazards can come in the form of a worker who isn’t wearing proper protective gear and equipment. The algorithm (currently in development) will then correlate all those images with the company’s accident records. As mentioned just now, the algorithm hasn’t reached its finishing stage yet. In fact, Suffolk is in the process of fine-tuning the algorithm and the overall technology. However, the company has recently said that its algorithm could gain the capability of computing potential risk ratings belonging to different types of projects. This way, the company could, for example, hold safety briefings when the algorithm has detected an elevated threat. Suffolk wants to take it to a higher level. The company has also started work on writing another algorithm which would have the capability of parsing information that the company will glean from a variety of different resources. These resources would include sources such as the company’s archives which contains about 10 years worth of data related to scheduling. The company will also make use of data from forecast project delays. Suffolk could also communicate all this information to subcontractors as well as building owners. Apart from developing algorithms for worker and customer safety, the company is also exploring other ways to utilize so much data. Currently, it plans to use the data in projects that will increase the overall efficiency of its operations. Suffolk will also use the data for IoT sensors. Of course, there are many ideas that one can enhance with the help of data. One is to simply track the exact location of a given company’s concrete supplier trucks. Suffolk could potentially ready its work to take all the safety measures and pour the fresh batch of concrete as soon as the concrete supplier’s trucks arrive at the given site. There is no doubt about the fact that such types of data crunching and application is truly rare in the construction industry. 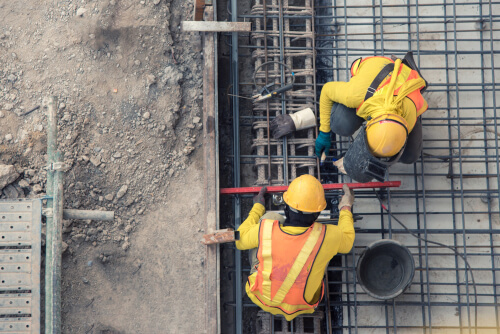 As alluded to before, the construction industry has always shown a certain amount of sluggishness when it comes to adopting advanced technologies and analytics. But that isn’t because the people involved in the industry don’t know any better. It is mostly because the margins in the construction industry are thin. 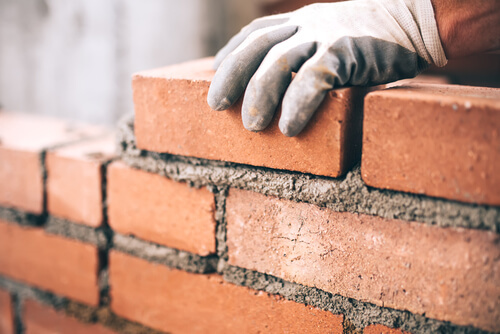 Moreover, the tried-and-tested construction methods have a really strong hold on the way construction workers and contractors work. According to the CEO of JBKnowledge, James Benham, people working in the industry do know how to build the stuff that they want to build. And they like to build in the ways that they already know. JBKnowledge is consulting and software firm which regularly conducts global surveys on construction technologies annually. James also said that until now he found it hard to make a convincing argument to people working in the construction industry which would change them so that they would do things in another way. With that said, it is also true that the shortage of labor and a real desire to boost the construction industry’s relatively low productivity rates have started to compel some construction firms to start investing in fields such as data science. Many proponents of data science have said that the budding trend had the potential of eventually transforming the construction sector which is currently as big as $13 trillion. James also has estimated that around 20 different construction firms spread across the United States have successfully launched some type of data science-related initiatives in the last couple of years or so. One of the construction industry’s pioneers is Suffolk. Back in the year 2017, Suffolk appointed Jit Kee Chin, a McKinsey management consultant as the company’s first-ever chief data officer. The company described the role as leveraging advanced analytics and big data in order to improve the core of its business. Needless to say that it is a completely new role as far as the construction industry is concerned. There are many other companies in the industry that have had a director of innovation. Some even have positions such as Vice President of construction technology and head of Research and Development. All of these positions involve the officer to perform and manage similar tasks. However, Jis Kee Chin’s position arguably holds more influence than others. That also seems to be the case if one considers factors such as Chin’s broad remit and the C-suite title. As the chief data officer at the company, Chin’s work would include engaging with Suffolk’s strategy and innovation teams in order to take on new technology initiatives. Suffolk, just like many other construction firms across the country, manages to generate a large amount of data. The company generates some from its field reports as well as job-site photographs. It then generates data from its inspection records as well as supplier contracts. The company makes use of various applications in order to manage all that data. But in recent years, those applications did not have the ability to share all that generated data quickly as easy. Because of that, the company struggled a fair bit while trying to launch any kind of forecasting operations. Jit Kee Chin came along and then hired several experts in operations, IT, data visualization along with some data scientists. The full team when managed to successfully stitch together Suffolk’s data feeds. Then the team designed a new online dashboard that the helped company to present all the information in a streamlined manner. As a consequence of the team’s effort, the company now has a program which allows all the Suffolk employees have a detailed look at each and every single of the company’s projects all around the country with the help of a single summary chart. Using the summary chart, employees are free to view more details about each of the project’s schedule, safety record, finances and more. Setting that aside, Jit Kee Chin’s group of various experts and data scientists also make use of all this information in order to create the before-mentioned predictive algorithm. The team has actually designed the new predictive algorithm to manage various types of construction risks. The group started its work on building the predictive algorithm for worker safety by looking at the data present for the past 10 years. More specifically, it took around 700,000 photographs from a total of 360 Suffolk projects in that time. Then they uploaded all of them ta Smartvid.io cloud-based platform. Smartvid.io is a startup actually provides a platform that makes use of machine learning techniques in order to help organizations first gather, then find and finally use their industrial videos and photos. The team at Suffolk used the platform to upload the company’s images and then ran an image recognition algorithm. This algorithm then identified for the team if a given worker was wearing proper safety goggles, vests, gloves and hard hats. After that Chin’s team plugged the various types of tagged photograph information that they had in addition to the weather data and other project-related data directly into another model that made use of machine learning techniques. Currently, the same group is busy in deciding whether it wants to tweak the predictive algorithm just a bit more so that it can detect scaffolding and ladders. These risk could potentially cause falls along with forming clutter which can prove to be dangerous at a given construction job site. Suffolk is trying to write its own predictive algorithms. And those should help the company to integrate all the other types of data that it hasn’t been able to use for various forecasting activities. Suffolk frequently launches experiments that make use of emerging technologies. Currently, the company has launched some which test wearable gadgets. Engineers can program these wearable gadgets to that they are able to recognize hazardous zones which are present in a given job site. Programming wearable gadgets may also help them record if the company’s workers are present at the dangerous zones. This is according to Chris Mayer, the company’s Chief Innovation Officer. Jit Kee Chin has already estimated that all these new tools with digital enhancement could potentially aid the company to increase its productivity rates by up to 20 percent within the matter of few years. 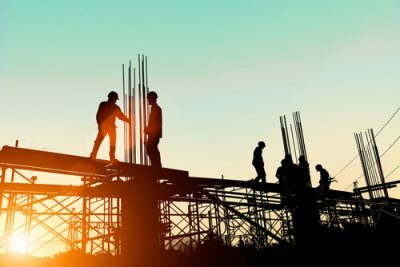 McKinsey came out with a report in 2017 which said that construction firms around the country could potentially increase their productivity rates by even bigger margins. The report put the figure at around 50 percent with the help of real-time data analysis. Benham from JBKnowledge recently mentioned that the construction industry desperately needed these types of capabilities in their processes and equipment. According to Benham, such technologies could help people in the industry better decision. As a result of those potential better decisions, construction firms could shave off from weeks to months from their various project schedules. Perhaps companies such as Suffolk could also benefit from all the developments in the field of AI. One particular development is the new artificial synapses from IBM. Reports say that IBM could help AI become 100 times more efficient in terms of its energy usage. Neural networks work by gorgin on data. Then they are able to do things like describing images and transcribing images with almost perfect accuracy. Neural networks do come with a catch though. Scientists have modeled neural networks loosely on the brain. That is, the human brain. Or more specifically, its structure. Typically researchers construct these neural networks in software instead of hardware. Moreover, the software that they use utilized conventional computer chips in order to run. That process actually slows things down. It is for this reason that IBM has worked hard to now show the world that if one could only build the key features belonging to a given neural network directly in silicon, it could increase the efficiency of the neural networks 100 times over. Some believe that if manufacturers do build chips in such a manner, it might actually turbocharge fields such as machine learning for the many coming years. The chip from IBM mimics the synapses. They help to connect individual neurons to other individual neurons in the human brain. Of course, the chip from IBM is still just a neural network that some researchers have written in software. If researchers want to take advantage of any synaptic connection’s strength, they need to tune the neural network so that it is able to learn. In the case of a human brain, such kind of activity takes the form of the synaptic connections withering or growing over time. Researchers can easily reproduce such happenings in software. But so far, they have found it infuriatingly difficult to do the same with hardware. That is another reason why the new IBM chip could prove to be very important. Researchers working at IBM have actually demonstrated how their microelectronic synapses worked in Nature (a journal) with the help of a research paper. One doesn’t need to spend a lot of time in order to figure out that their new approach actually took inspiration from other fields such as neuroscience. In other words, IBM researchers made use of two types of synapses. The first, long-term synapses which are basically used for memory. The second, short-term ones which are used for computation. Such methods are able to address several key issues. The most notable of those key issues is accuracy. The lack of accuracy, along with other issues, have managed to bedevil all previous efforts of researchers who have tried to use silicon in order to build artificial neural networks. This is according to a researcher who works at the National Institute of Standards and Technology, Michael Schneider. Schneider is currently researching computer hardware that is neurologically inspired. Researchers have actually tested the new type of artificial neural network. They used the relevant components of two simple and straightforward image-recognition tasks. They found that the new neural network system showed exactly the same accuracy in its work as a deep neural network that was based on software. Moreover, the new neural network only consumed 1 percent of the energy that the software-based neural network consumed while performing the same task. Researchers believe that such kinds of discoveries won’t just help the field of artificial intelligence. If engineers are able to scale the production of such neural networks to commercial levels then it could, as a matter of fact, indicate one of IBM’s big bets. It is true that IBM, as a company, doesn’t really sell any computer chips. But despite that, the company has continued to pour resources into efforts that might lead to some reinvention in computer hardware. The company has hoped that some new but fundamentally different types of microelectronic hardware components might assist in providing the impetus for the industry to realize its next wave of big advances. IBM may have come up with a technique that could prove as the first step towards that goal. The company might just have made machine learning exponentially more energy efficient. And because of that efficiency, it might have made it easy for engineers to deploy machine learning capabilities on small devices such as smartphones and tablets. According to Schneider, a factor of 100 in areas such as energy efficiency and that too in training speed for completely connected layers certainly seemed, to him, full worth the effort of going in further.